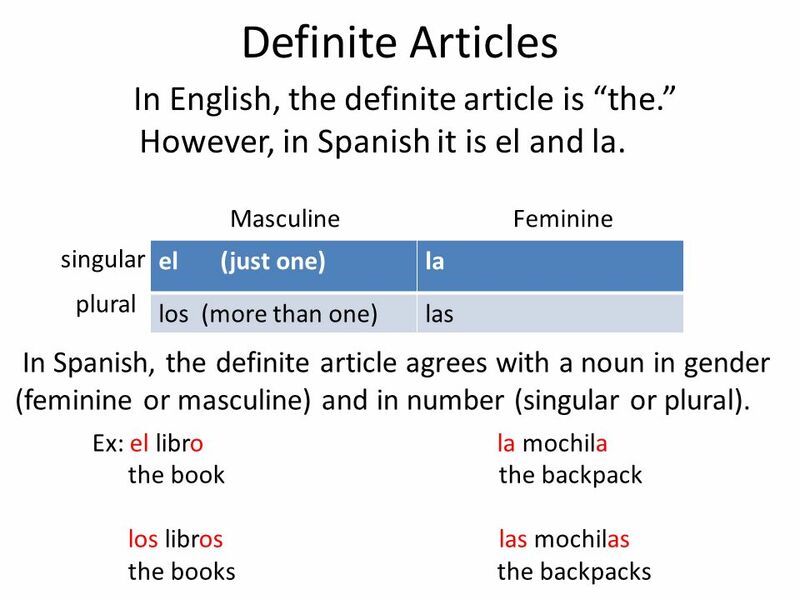 2 Definite Articles In English, the definite article is “the.” However, in Spanish it is el, la, los, and las. 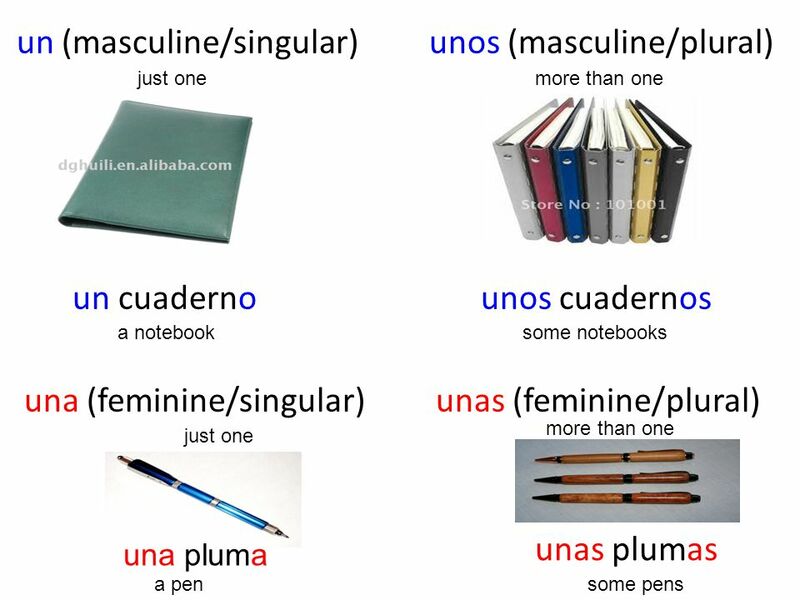 Spanish has four different forms and they agree in NUMBER and in GENDER. 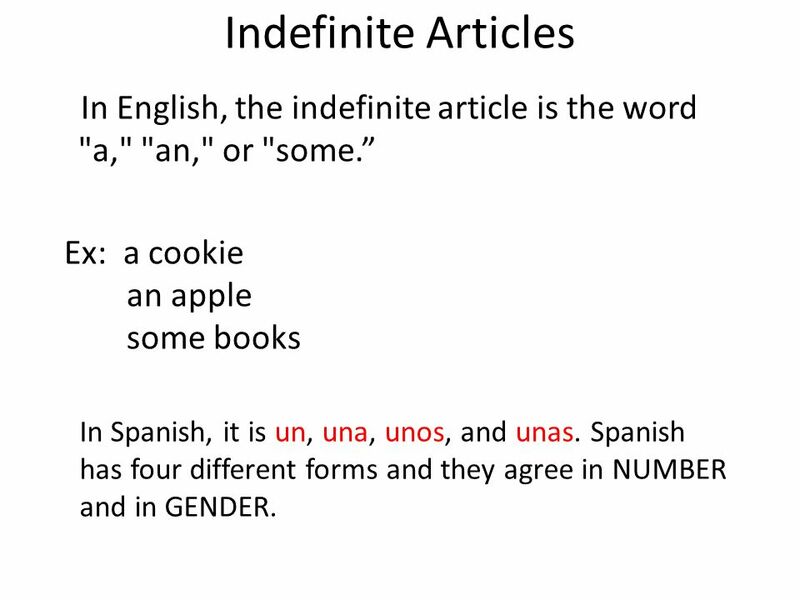 5 Indefinite Articles In English, the indefinite article is the word "a," "an," or "some.” Ex: a cookie an apple some books In Spanish, it is un, una, unos, and unas. 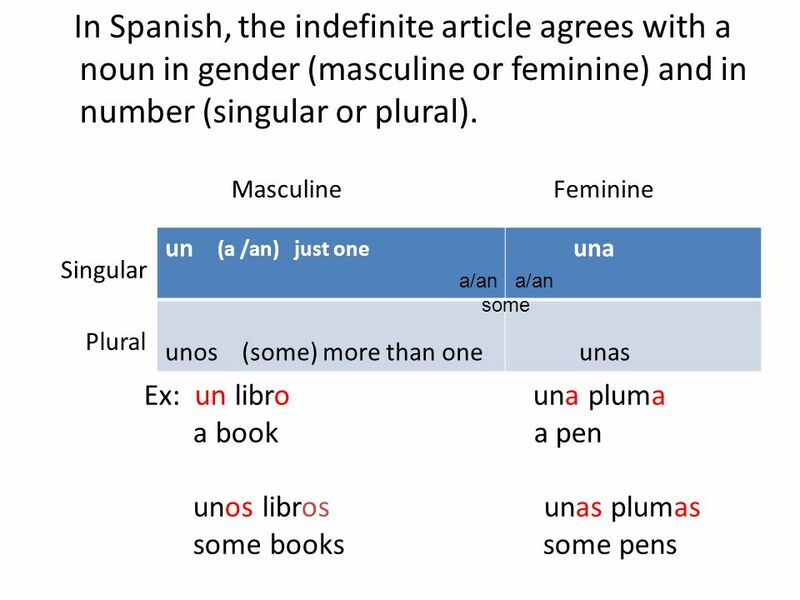 Spanish has four different forms and they agree in NUMBER and in GENDER. 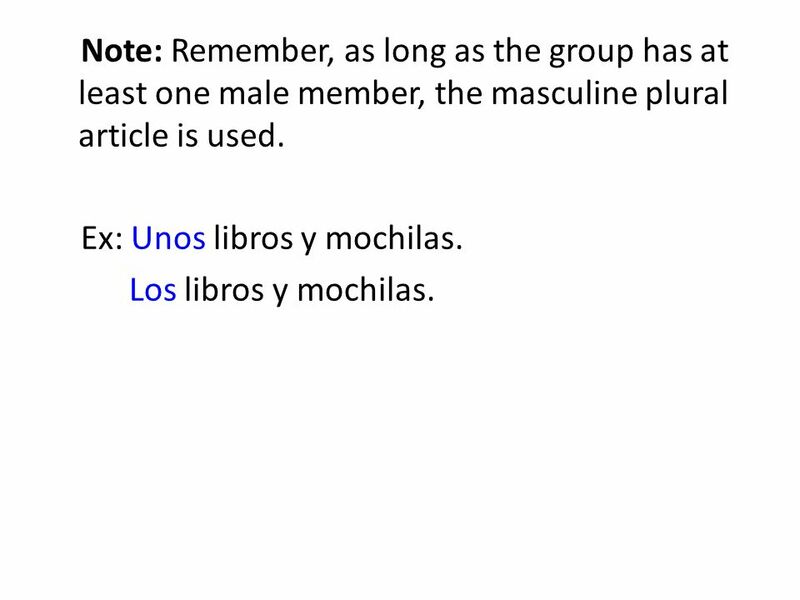 8 Note: Remember, as long as the group has at least one male member, the masculine plural article is used. 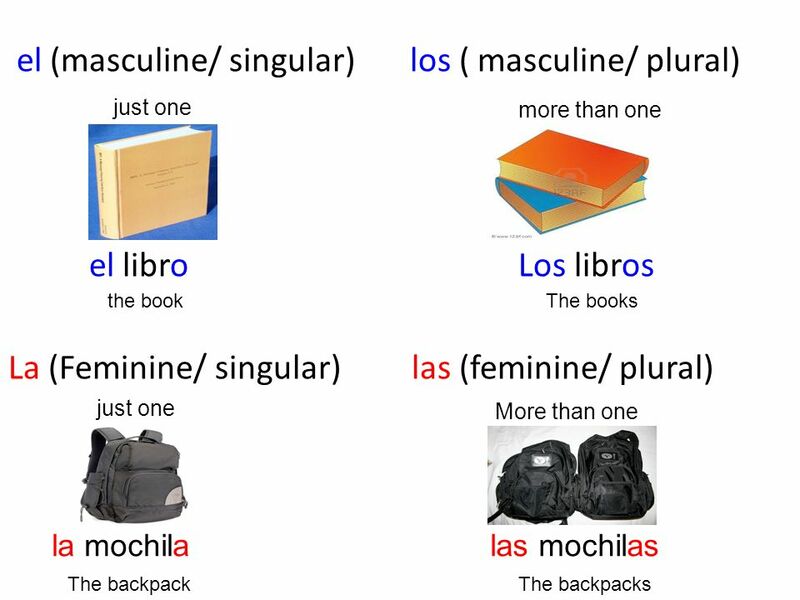 Ex: Unos libros y mochilas. Los libros y mochilas. 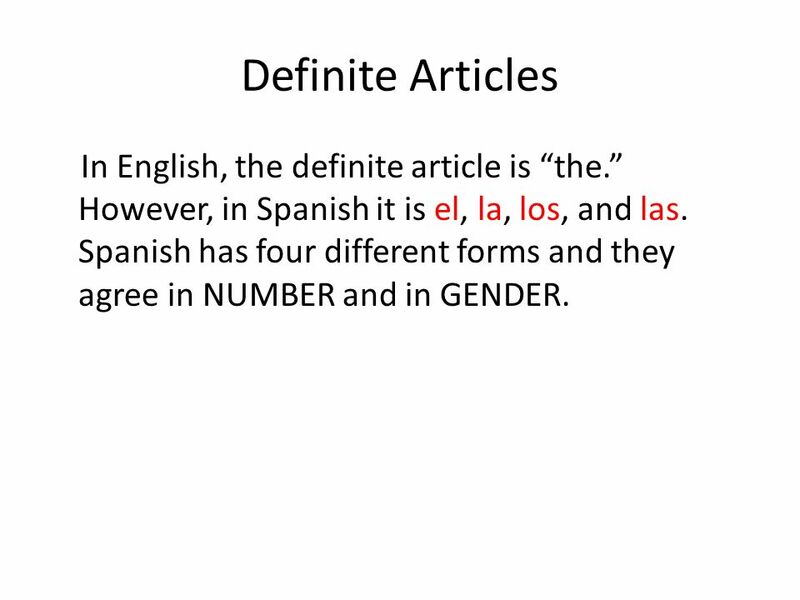 9 What is the difference between definite articles and indefinite articles? 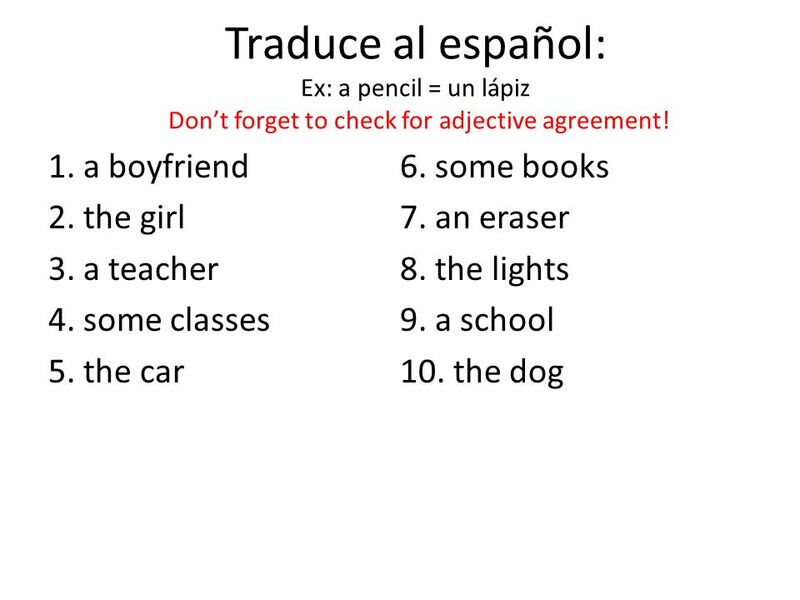 10 Traduce al español: Ex: a pencil = un lápiz Don’t forget to check for adjective agreement! 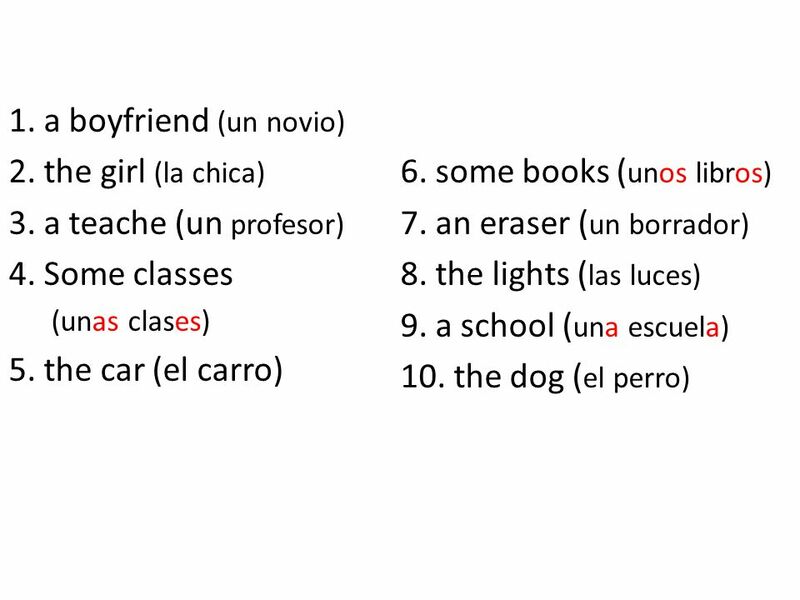 Download ppt "Definite and Indefinite Articles in Spanish"
LOS ARTÍCULOS Articles. the a(n), some. 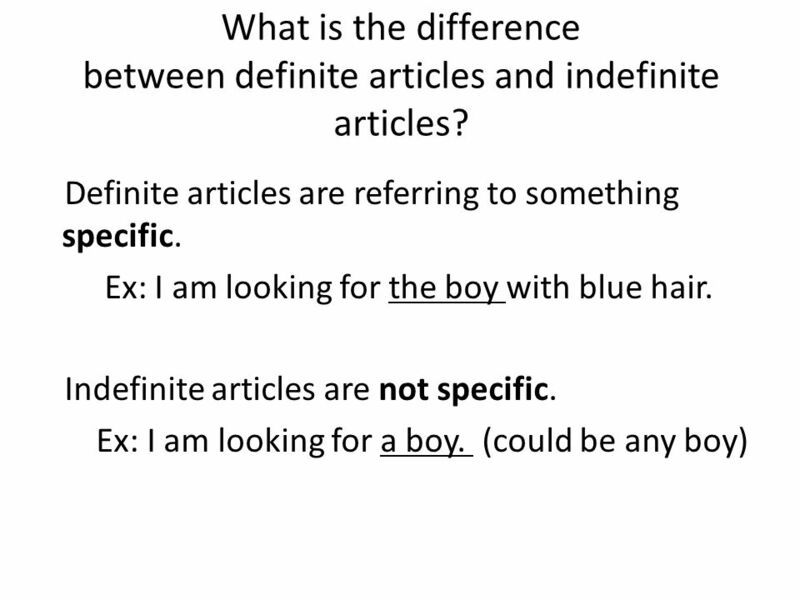 Using Adjectives to Describe: Gender Agreement This information can be found on page 59 of your book.